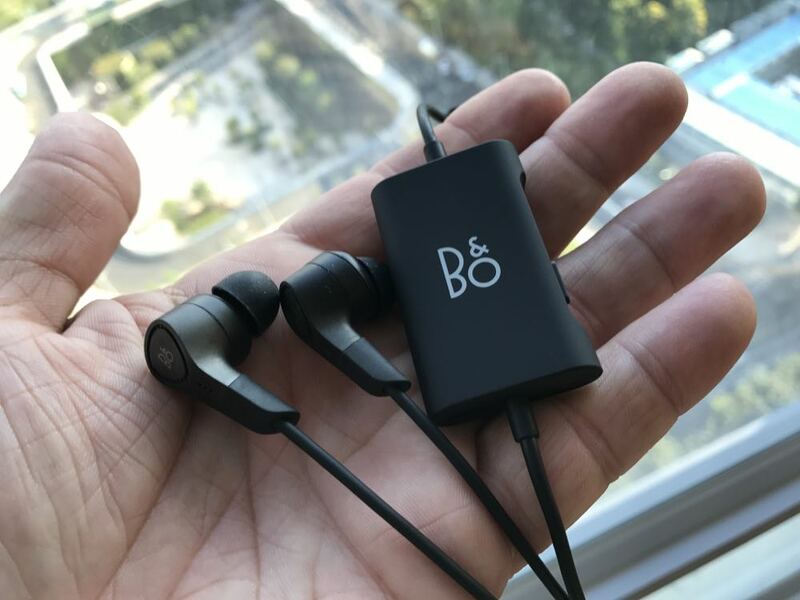 Noise cancelling headphones are quite common but a good pair of active noise cancelling earphones are a lot harder to find but the new Beoplay E4 can definitely fit the bill. The Beoplay E4 bring with them not only the company’s distinctive style and design but some pretty impressive technology under the hood as well. 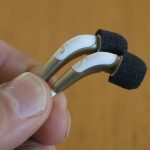 The earphones themselves are nicely sculpted from lightweight aluminium and sit comfortably in your ears creating a secure fit so they’re not going to fall out too easily. 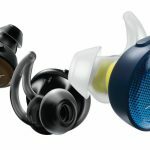 The soft foam ear tips also play a part in that comfort level so you can wear them for hours. For our review, we wore them for nine hours straight on a flight from Sydney to Hong Kong and after a while we forgot we were wearing them. 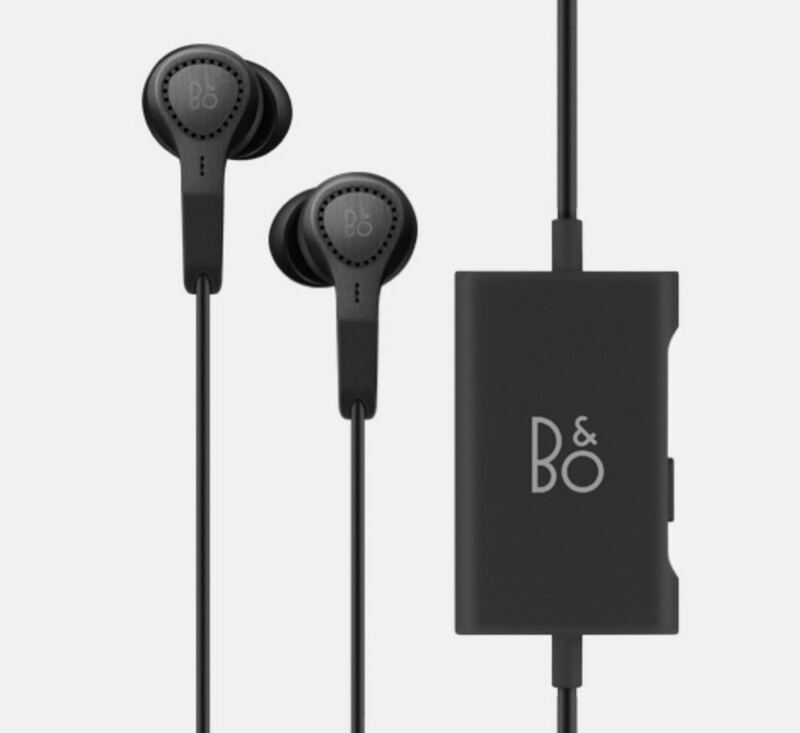 For the active noise cancellation, the Beoplay E4 has a small module down near the end of the 3.5mm headphone jack. The module is smaller than a matchbox and doesn’t get in the way when you’re listening to your music. 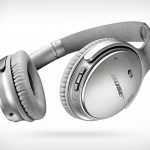 The competitor product, the Bose QC20, has a longer but narrower module for active noise cancellation. It’s that module that handles all the sound processing to make that high level of active noise cancellation possible. The Beoplay E4 uses two microphones to register the ambient sound and then generates the opposite wave length to block it. With this product the noise cancellation has stepped up a gear with 15dB more low frequency suppression. 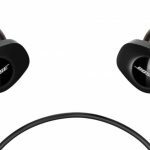 And it offers virtually the same level of noise cancellation that Bose is famous for. The Beoplay E4 also has a transparency mode so you can listen to your surroundings. 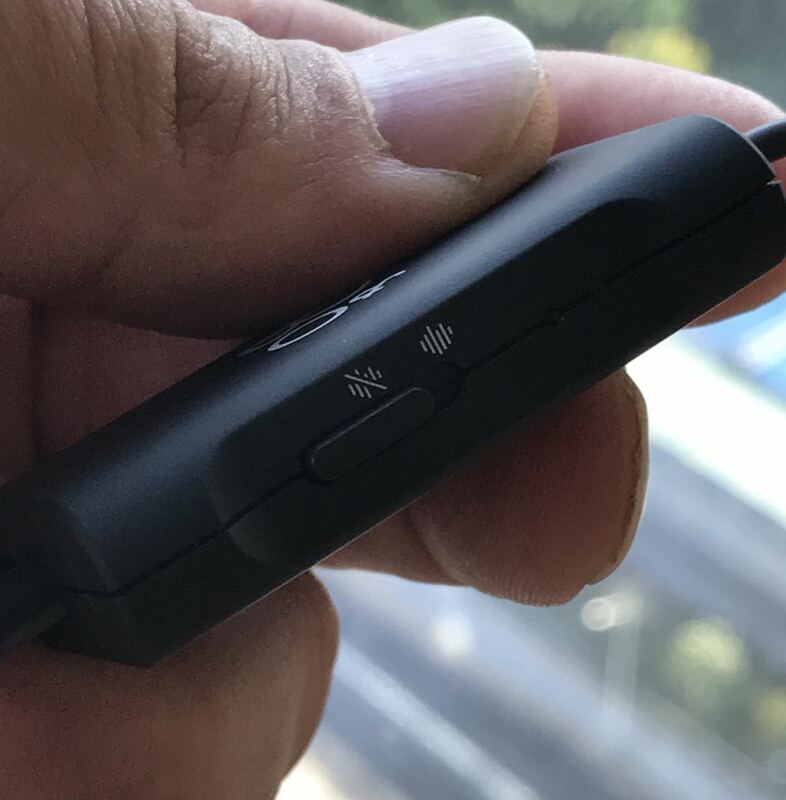 One click of the switch on the module and it stops both the music and noise cancellation so you hear someone talking to you or a flight announcement at the airport. Then you can flick it back on and you can hear your music again with the noise cancellation re-engaged. But how do they sound? The answer is excellent. With the noise cancellation happening it just moves everything else out of the way so you can just hear your music. The Beoplay E4 has superb bass levels and remarkable clarity. The bass was a pleasant surprise and the detail was also obvious as well. 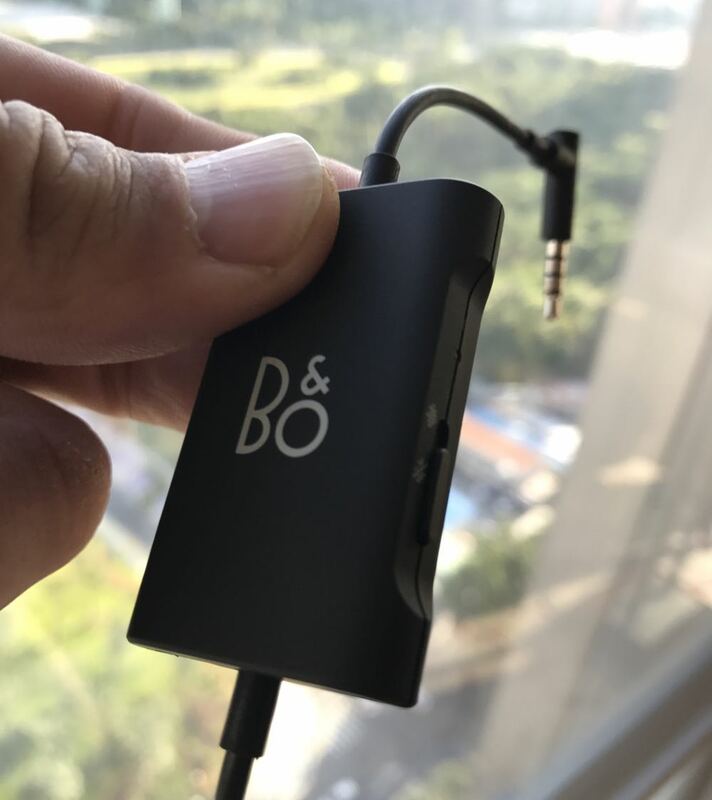 To our ears it sounded like the Beoplay E4 was tuned to cover a wide range of music types so the range of quality can vary. 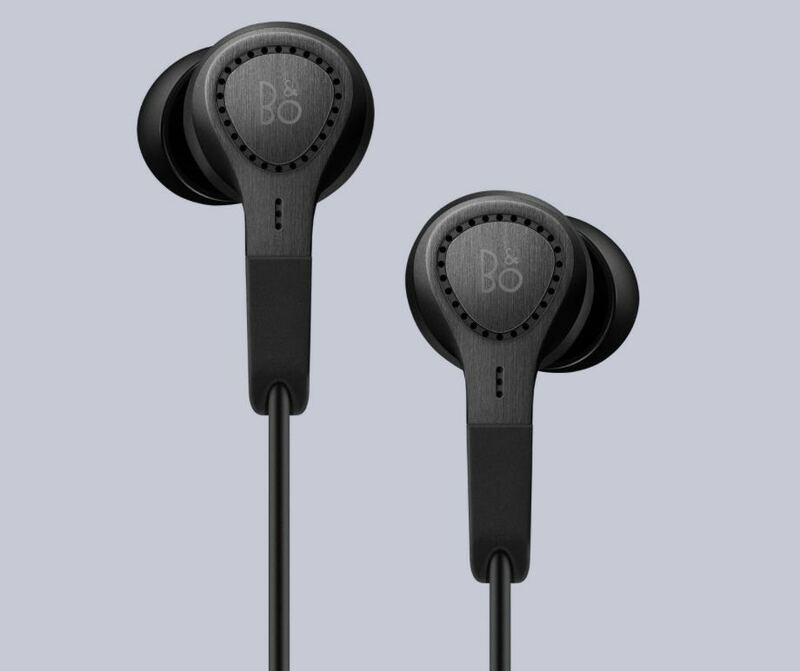 For the most part the Beoplay E4 had it covered but fussier listeners would want the clarity in the high and mid-levels to be slightly better. 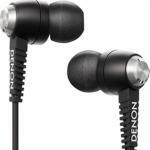 But don’t hold that against these earphones – they are well above average. In terms of battery performance, the Beoplay E4 can run for up to 20 hours – and that’s with active noise cancellation turned on. That’s a flight to London from Sydney on a single charge. And if the battery does conk out you can still listen but without the noise cancellation. The battery is recharged through the microUSB port on the module. The Beoplay E4 comes with a charging cable, a flight adaptor, four different silicone ear tips, one pair of memory foam ear tips and a draw string carry bag. The inline remote control also lets you make and receive calls and easily control your music. 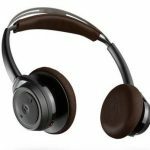 What you’re not going to get with the Beoplay E4 is wireless connectivity so if the idea of a cable bothers you then you need to look elsewhere. But if you’re willing to put up with it you’ll be rewarded with better audio quality. 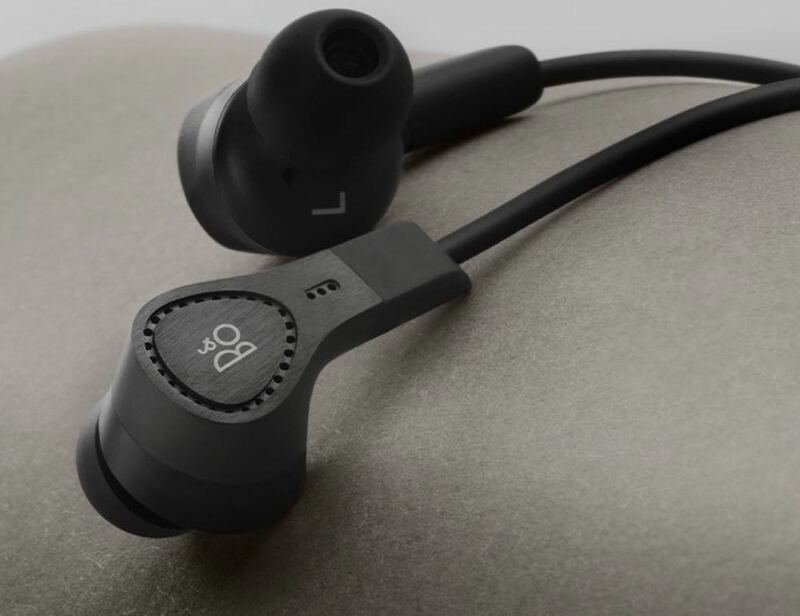 The Beoplay E4 active noise cancellation earphones deliver with both eliminating outside noise and providing impressive audio quality with long battery life to enjoy your music in peace. PROS: Sleek design, excellent noise cancellation, impressive audio quality, good bass. CONS: Not wireless, high and mid levels could be better. 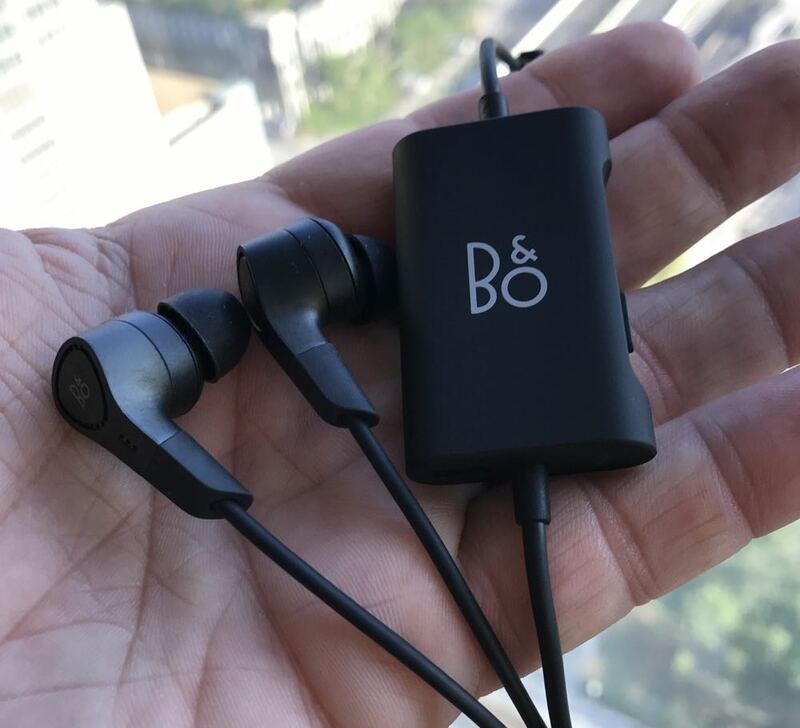 VERDICT: The Beoplay E4 active noise cancellation earphones deliver with both eliminating outside noise and providing impressive audio quality with long battery life to enjoy your music in peace.